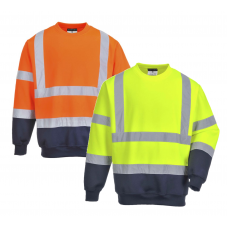 This type of clothing is more than suitable for personnel who work indoors or outdoors keeping them warm during the cold spells of winter but cool in the summer months. 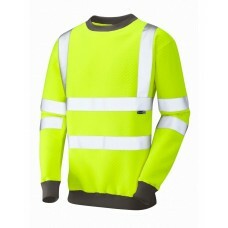 Made from anti pill fleece fabric with retro reflective tapes on the body and sleeves, along with two shoulder braces our sweatshirts are a very popular item indeed. 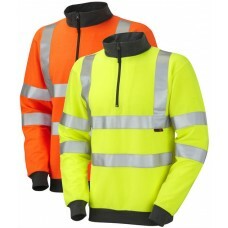 Sweatshirts make the ideal garment to have your business logo, name, telephone number or a motif embroidered or printed on. If you have your own logo, just upload it to our website and our designers will do the rest. Should you require any guidance or advice about a motif for instance just get in touch with one of our advisers who will go out of their way to help. 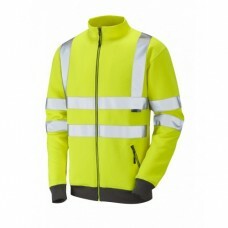 Our high viz hooded sweatshirt is a top class garment and well worth ordering. 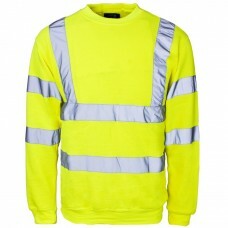 For people in jobs such as porters, drivers, receptionists, builders or lollipop men and women they are perfect especially during dark days or at night time. 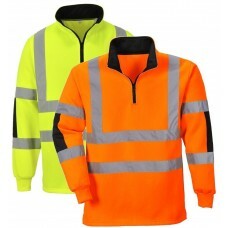 The need to be noticed can’t be emphasised enough so by ordering high visibility hooded sweatshirts you will have peace of mind that you have done all you can to ensure your workers are safe at all times. 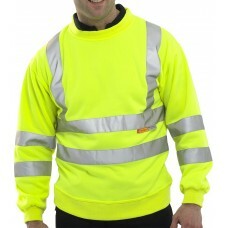 When teamed with work trousers, T-Shirts and safety boots or shoes, sweatshirts add that certain flair to any uniform. 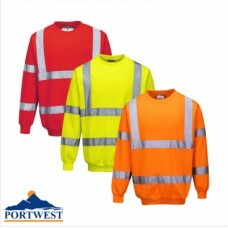 Keep your staff looking smart and part of a team by finding out more about the clothing we at Your Workwear have for sale. Delivery is quick and with a returns policy in place should the size be wrong or you wish to exchange your order, this presents absolutely no problem to us whatsoever.